Product prices and availability are accurate as of 2019-04-20 22:24:35 BST and are subject to change. Any price and availability information displayed on http://www.amazon.co.uk/ at the time of purchase will apply to the purchase of this product. 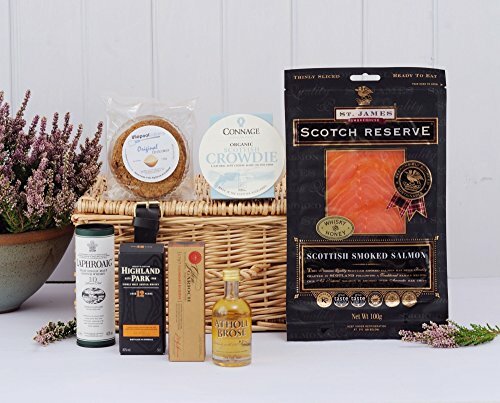 An old Gaelic term for the traditional mixture of Highland crowdie with proper Scottish smoked salmon, our Whisky Salmon hamper gives one all they’d need to prepare their own authentic helping of Bradan is Gruth. 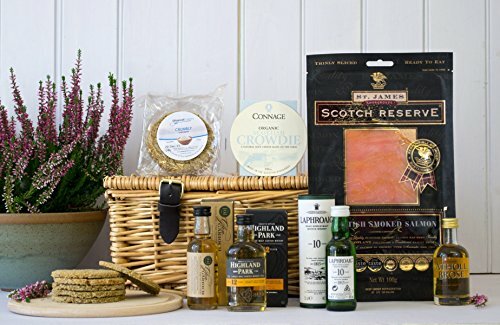 With some spectacularly Seasoned Oatcakes and plenty of quality Scottish Whisky thrown in, you’ve got a great gift for all harbingers of seafood canapés and exceptional single malts in this scrumptious Scottish hamper.